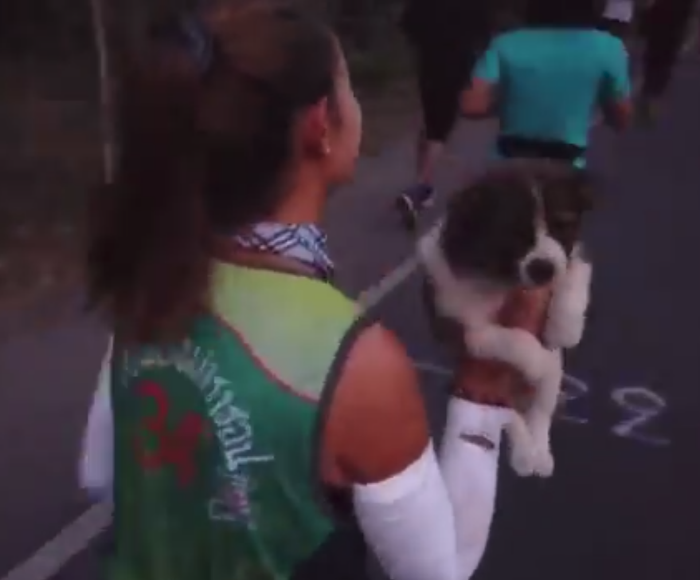 Runner Finds Abandoned Puppy Mid-Race & Refuses To Leave It Behind. What would it take to convince you to run a marathon? Would a brand new puppy entice you? 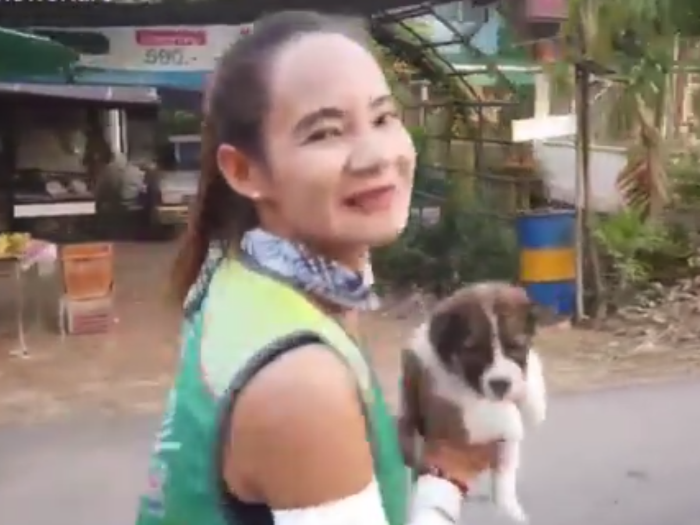 43-year-old marathon runner, Khemjira Klongsanun, didn’t need the promise of a puppy to get her to sign up for the January 20 marathon in Thailand, but happening upon one was a sweet surprise during the race. About seven miles into the race, Khemjira noticed fellow-runners dodging something on the route. As it turned out, they were dodging a (super cute) stray puppy! Despite the marathon being timed, the avid runner stopped, knelt down, and coaxed the scared pup into her arms. Once she had him safely with her, she continued on with her race – carrying him along with her. Khemjira even used her personal towel to shield the pup from the hot sun during the run! 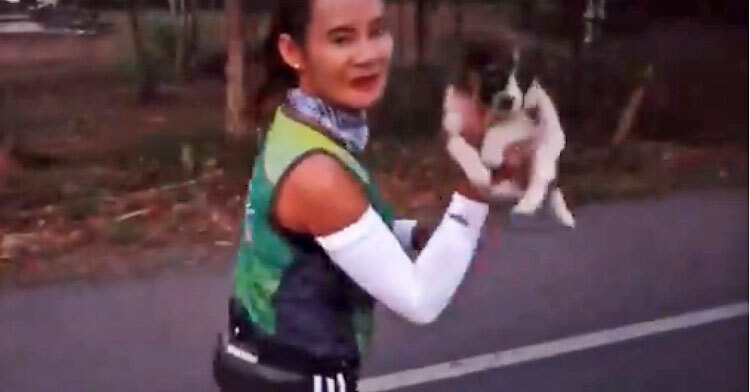 In the end, she ran 19 miles with the sweet dog under her arms, and he successfully completed his first marathon as he crossed the finish line along Khemjira. 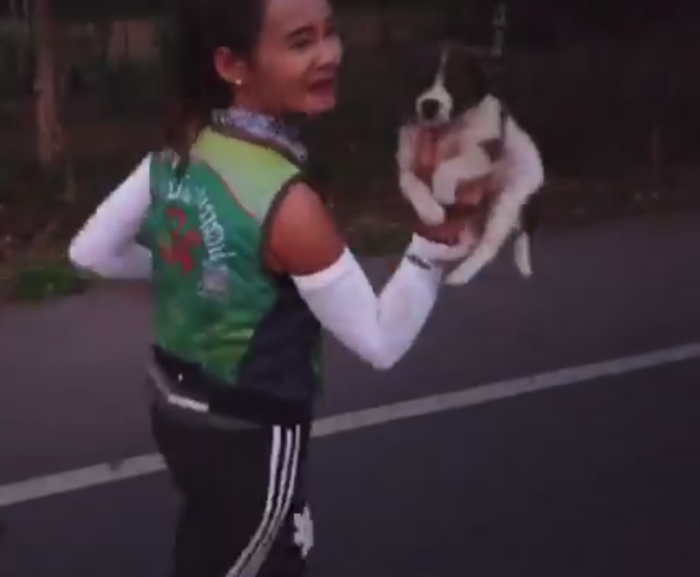 After the race, Khemjira officially adopted the puppy, who is believed to only be a couple of months old, and named him Chombueng – the same name as the marathon! If the award at the finish line is a new puppy, tell us where we can sign up for the next marathon! Watch Khemjira run her race with sweet Chombueng along for the ride! 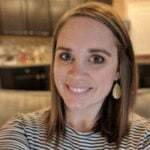 Don’t forget to share!